Flowchart infographics are a creative way to lead readers on a journey to the information they are seeking. Thanks to Edraw Infographics Software. its built-in symbols and drawing tools makes designing flowchart infographics easily. Run Edraw Infographics Software, go to File menu > New and then double click Flowchart to open a blank canvas or select a pre-made infographic flowchart examples..
To add flowchart shapes to the infographic: from the left library "Flowchart Shapes", drag and drop suitable shapes to the canvas. To connect infographic flowchart shapes: shapes are connected automatically by clicking the floating action button to generate connectors between two shapes. or click "line" under Home tab and choose connector tool to connect shapes manually. 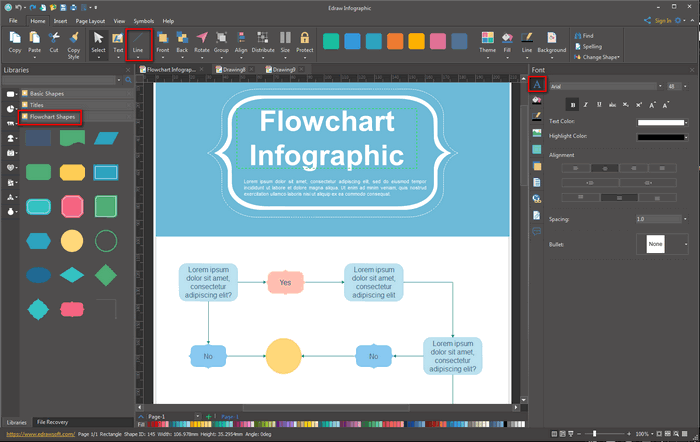 To add contents to the infographic flowchart: press A on the right panel of this software to customize the text font, size, color and alignment. By changing Infographic theme, you can enhance fill, line and text style at 1 click. To insert your own local pictures, hit Insert tab and then choose Insert Picture From File. Click a color for colorful background. 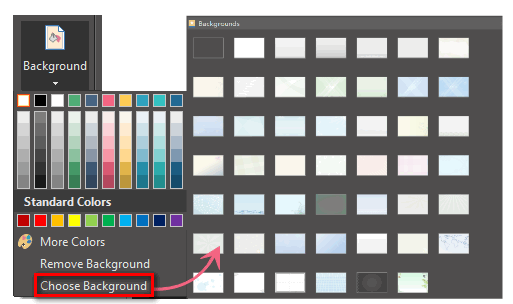 Click Choose Background to select a built-in background. Click Remove Background if you don't want any background. Click Save on File tab to save as the default format .eddx or choose Save as on File tab to save as other formats. Tips: you can also choose to save in local files or save in your Cloud. 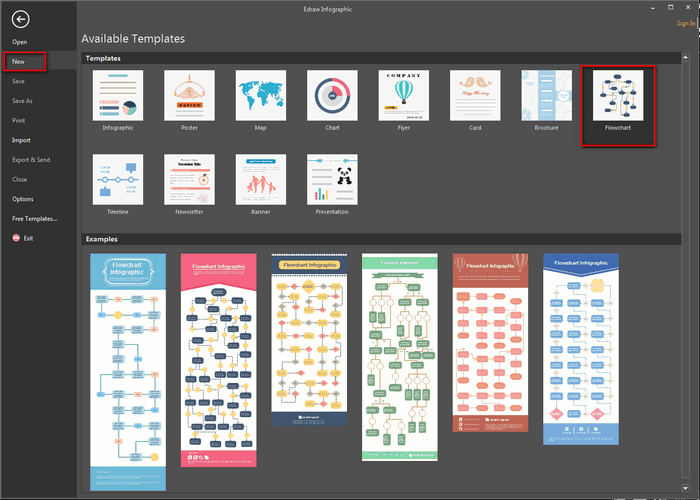 Hit Export & Send under File to export the infographics as images, presentation slides, pdf, html, svg and web documents .etc..